More than 7 million people die prematurely every year due to air pollution. That’s like the entire population of Hong Kong dropping dead due to a cause that’s ultimately avoidable. The World Health Organization (WHO) is turning its attention to this issue this week at its first global conference to improve air quality, combat climate change and save lives. It’s time to gather all allies in the fight for clean air. As policy, community and scientific leaders look closely at the public health impacts and the case for clean air, the climate world also offers some important instruments that can drive broader action. A recent report from the Intergovernmental Panel on Climate Change (IPCC) made the case for climate action more starkly than ever: The world is way off track for limiting global warming to 1.5°C (2.7°F), the cap necessary for staving off the worst impacts of climate change. We need to change course rapidly to phase out coal, increase renewables, improve energy efficiency and revolutionize the way we produce food – all while growing sustainably, improving air quality and providing a better life for people. This attention is a force for health as well as climate goals. A little-discussed fact is that the causes of air pollution and climate change overlap. In some cases, the chemicals are actually the same. 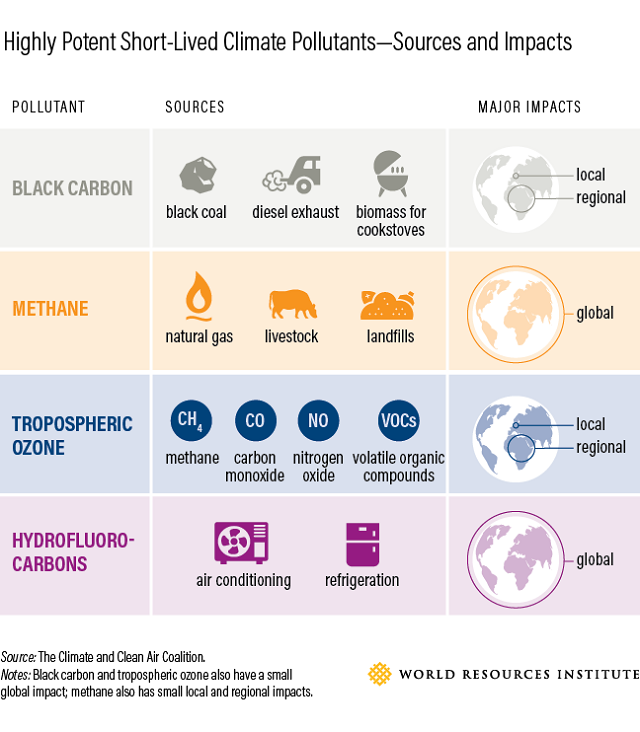 Short-lived climate pollutants, such as methane, black carbon, hydrofluorocarbons (HFCs) and tropospheric ozone, have a powerful effect on global temperatures, and many are also damaging air pollutants. For example, methane is a potent greenhouse gas with a global warming impact 86 times higher than that of carbon dioxide over a 20-year time horizon. It is also the largest precursor to ground-level ozone, a major component of smog, which can worsen bronchitis and asthma and damage lung tissue. Tropospheric ozone exposure alone is responsible for an estimated one million premature deaths each year. In other cases, health-damaging pollutants and climate-changing compounds are emitted at the same time. For example, when coal burns to provide energy, health-damaging fine particles, sometimes laced with toxic mercury, are released along with greenhouse gases such as carbon dioxide, methane and nitrous oxide. The instruments for climate action could bring important new momentum to tackling air pollution and improving public health. We should use them. For example, the international Paris Agreement asks countries to submit strengthened national climate plans, or “nationally determined contributions” (NDCs), by 2020. These are powerful instruments to direct finance and bend the global emissions trajectory. This is not only necessary for limiting warming to 1.5°C, it also makes good economic sense: Research from the New Climate Economy finds that bold climate action can result in a global economic gain of $26 trillion by 2030. Situating short-lived climate pollutants centrally in strengthened NDCs could advance both climate and health goals. A recent study shows that curbing climate change can prevent air pollution-related deaths – benefits that far outweigh the costs of reducing emissions. In fact, the value of health co-benefits can sometimes be more than double the costs of mitigation efforts. 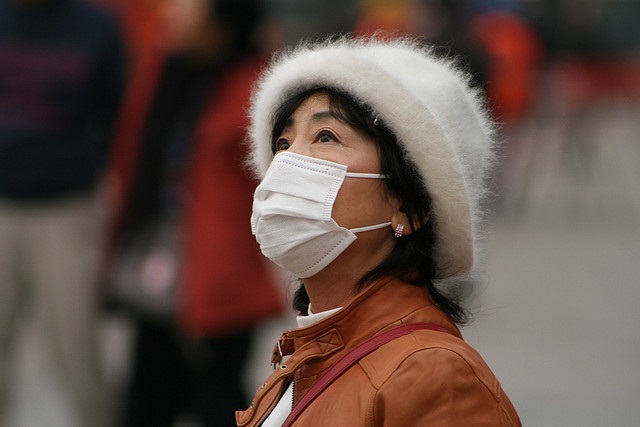 For China and India, the costs of reducing greenhouse gas emissions can be compensated with the health benefits alone. A new WRI/Oxfam working paper presents options for how countries can incorporate targets, policies and actions on short-lived climate pollutants and key related sectors into new or updated NDCs. This will allow countries to reap immediate climate and health benefits while ensuring that those least responsible for our changing climate aren’t left to deal with its increasingly severe impacts. It’s important to note that curbing climate change and reducing air pollution-related risks aren’t exactly the same thing. Exposure, the intersection between people and pollutants, is the key determinant of health, while ambient air quality, the concentration of pollutants in the air regardless of whether people are breathing them, is the key focus for climate change. But aligning health action with climate action could bring several new and innovative strategies to bear. Tackling short-lived climate pollutants offers an important avenue to address air pollution and curb runaway climate change. Katherine Ross is an Associate with WRI’s Climate Program. Jessica Seddon is the Director of Integrated Urban Strategy at WRI Ross Center for Sustainable Cities.